The unsung hero of the GreaterGoods Bluetooth digital scale is that they’ve figured out how to connect the scale to your smartphone (and app) without all the aggravation that usually comes with bluetooth pairing. But none of this gets used if not for the ease of connectivity. I keep the scale in the bathroom where I shower (it offers consistency.. ah hem). So I simple open up the Weight Gurus app on my iPhone, set it down on the sink counter, step on the scale to get my weight… and when I step off the values are instantly sent to my iPhone app. There is no trouble with pairing or reconnecting. It just works. I am writing this on Christmas Eve 2018, knowing that I am going to put a few extra pounds on with all of the holiday parties and New Year’s Eve celebrations, and like most people… I am looking at early January as the time I will kick the diet and workouts into full gear! And seriously… having this scale will help you. Well, I’ll speak for myself when I say keeping an active “tab” on my weight progress absolutely helps me. 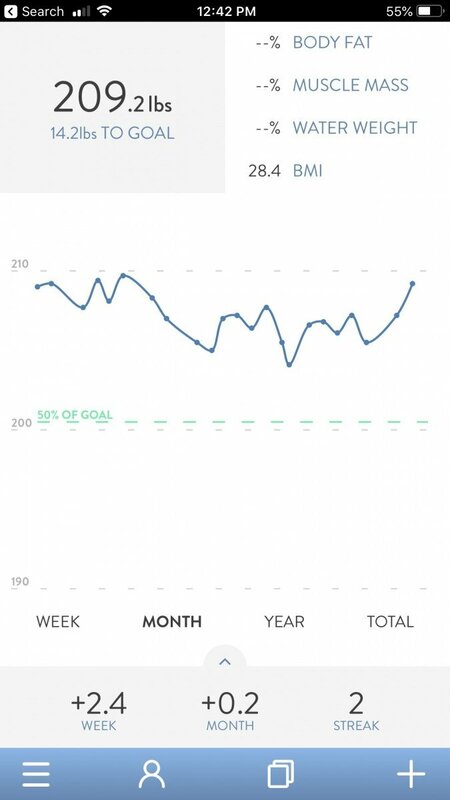 If I jump into sports playoff weekends eating too many Chicken Hot Wings and Beer… I want to see that bigger number and how it’s spiked up over the week’s because it motivates me to not slip again! To get the exact same product that I show in the video and write about here.. order with this Amazon link. Watch my video review below! To get the exact same product that I show in the video above… order with this Amazon link. Note: this video was filmed with the new DJI Osmo Pocket camera. 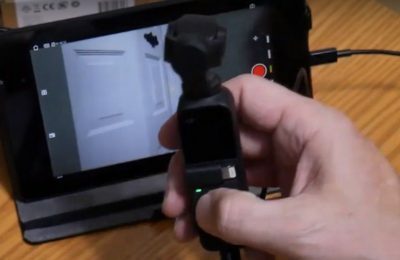 While my usage here isn’t ideally what it’s intended for (it is a stabilizer camera for motion shots), I wanted to test it out as a VLogger camera. If you are interested in ordering the camera, the link is here.